The cost of the port of Sabetta on the Yamal peninsula northeast of the Ural mountains would shoot up from 47.3 billion to 69.9 billion rubles. A major planning oversight has left the government scrambling to free up an extra 20 billion rubles ($581 million) for the completion of an Arctic port and liquified natural gas terminal designed to reduce Russia's dependence on pipelines for gas deliveries, business daily Kommersant reported Tuesday. 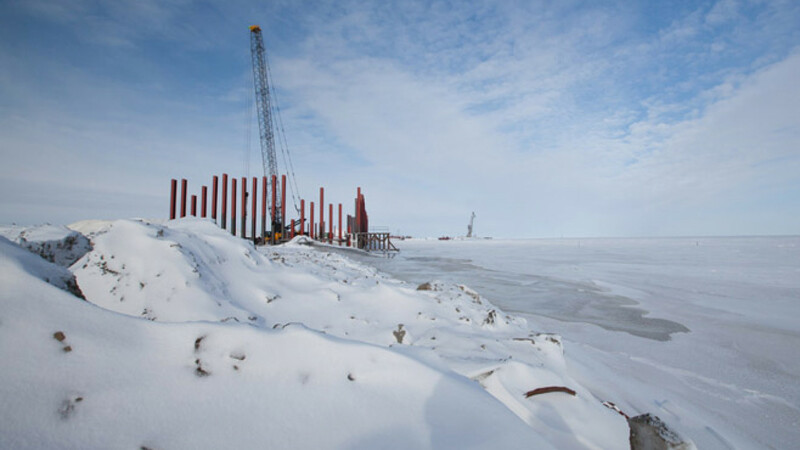 The penny has been slow to drop — the Federal Sea and River Transportation Agency in February warned that the cost of the port of Sabetta on the Yamal peninsula northeast of the Ural mountains would shoot up from 47.3 billion to 69.9 billion rubles ($1.3 billion to $2 billion) because the need for ice barriers had not been factored into the initial plans. The port is being built as part of the $27 billion Yamal LNG project, which is controlled by privately owned Russian gas producer Novatek, along with France's Total and China's CNPC. The project foresees the construction of a liquefied natural gas plant with a capacity of 16.5 million tons of gas per year by 2017, which will be exported by ship through the Arctic ocean, bypassing Russia's Europe-oriented overland pipeline system. But at least three federal infrastructure projects might have to be scaled down or scrapped to cover the costs of building the port, the paper reported, citing a copy of a letter sent by Transportation Minister Maxim Sokolov to Deputy Prime Minister Arkady Dvorkovich on May 30. In the letter, Sokolov proposed canceling the construction of passenger ferries intended to service the route between the port of Ust-Luga in the Leningrad region and Baltiisk in the Kaliningrad region, freeing up 7.9 billion rubles ($229 million) for Sabetta. Furthermore, the ministry is willing to sacrifice plans to construct a deepwater cargo port in the Kaliningrad region's Primorye Bay to make another 8 billion rubles ($232 million) available, a decision made easier by the fact that the project has not attracted any private investors. Reducing the capacity of a planned cargo terminal in St. Petersburg from 2.2 million tons to 800,000 tons would raise an additional 1.5 billion rubles ($43 billion) for the Arctic port. The reallocations are not yet set in stone — the Transport Ministry told Kommersant on Monday that a revised federal infrastructure construction plan will be published on the government's legislation portal in the near future.